Our choirs in Kendal and Bentham continue through to the Easter holidays - our last sessions this term will be on April 2 and 3. Coming up in just a couple of weeks is our Spring Sing Thing in the Lake District with harmony singing workshop in the Skelwith Bridge community centre near Ambleside on Saturday March 23, followed by a walk with singing in a spring wood and a vast Lakeland cavern, beside a waterfall and a lake, in a wood, and round the fire of a country pub. On Sunday we will be teaching Slovenian songs in 3 and 4 part harmony. There are places available on both events for you. Please bring a packed lunch on Saturday and food to share for Sunday lunch. 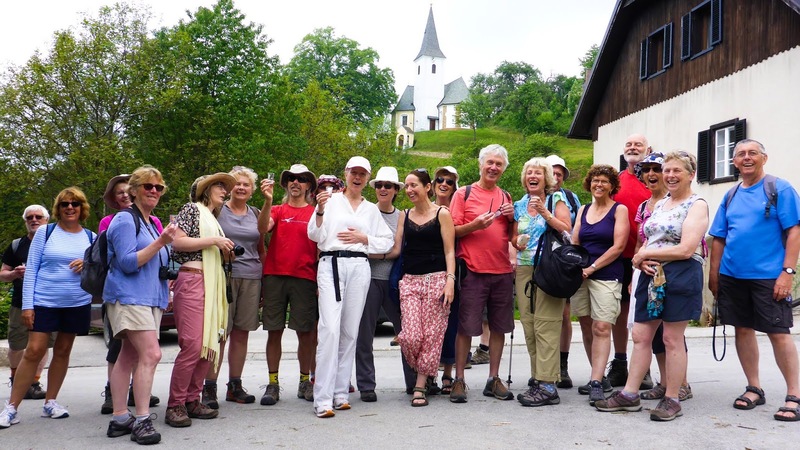 And there are other events in 2019 you can join - including a week of singing and cycling in the Schwarbische Alps in Southern Germany (April 5-12) staying in beautiful hotels on the banks of the Danube and in the charming medieval town of Rottweil. And a new one - Triglav singing tour August 7-12 - singing on the very top of Slovenia's highest mountain, with a 5 day tour to get there and back singing in mountain lodges and on the summit. 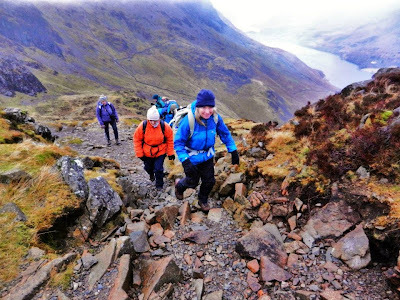 Hill walking experience is essential. January 26/27 2019 - Scottish and Slovenian song weekend - Kendal. Celebrating the national poets from both countries with other songs and food from both countries. Workshops, concerts, etc. Unitarian Church Hall, Market Place, Kendal £30 Saturday, £25 Sunday. 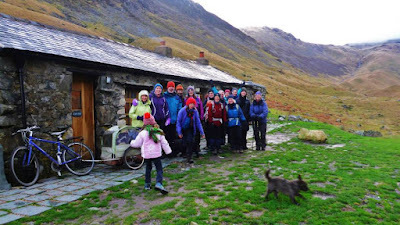 March 30 - Buttermere singing day - 10am workshop in morning in the village hall, then singing walk round the lake. Ends with songs in the pub. Please bring a packed lunch. 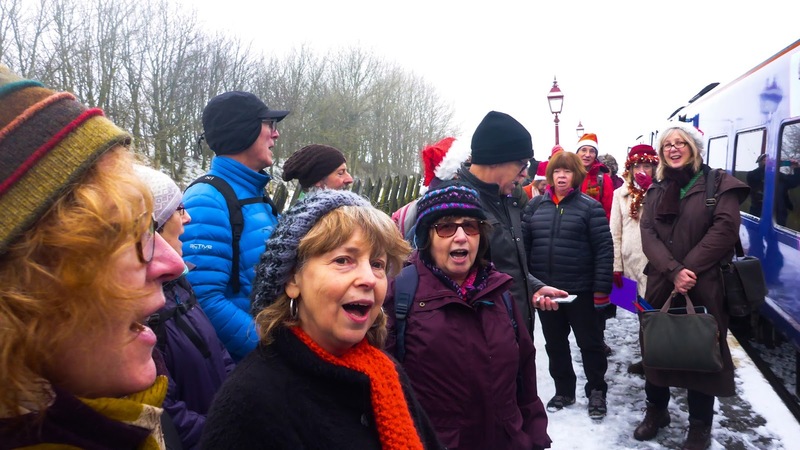 Dent Folk Carols weekend December 6-8 2019 - cosy cottages, fabulous workshops in these lively old carols, delicious festive feasts, singing walk up the valley, and some cracking company. Join us for this celebration of camaraderie and harmony singing in this beautiful old Yorkshire Dales village. Everyone is welcome - there are no auditions. All the songs are taught by ear - but written music as well as recordings of the parts are available for home study. Lift shares can be arranged. We sing songs in 2, 3 and 4 part harmony from the UK and other countries, many of which reflect the seasons we are singing in. 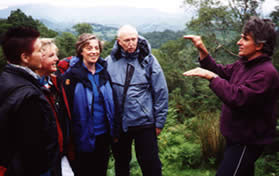 We will have singing walks through the Lake District on Tuesday evenings with Lakeland Voices in June and July. There is a termly subscription of £54 (10-14 week term) and this allows you to sing in any of the other choirs as you wish. There are also some big discounts on weekend singing events for those who join for the term, and some extra free singing events too. At the beginning of term, you can come to our first session for free to see if you want to join us. Sometimes we do concerts but these are optional - you are welcome to come just to enjoy the singing. 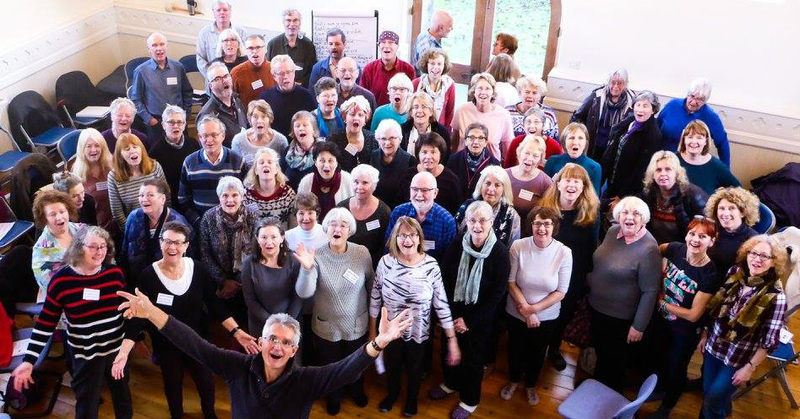 And the Sedbergh Songsters singing group for those with Alzheimers, their carers, and others who enjoy singing familiar old songs together - Monday 10:30-12 noon at Gladstone House on Maryfell in Sedbergh. Donations requested to Dignity in Dementia. 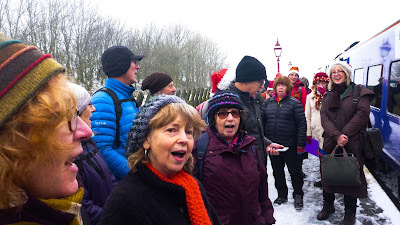 Our choirs often meet up to sing together as they do at the Badger Bar in Rydal in the middle of July and December, on our Settle Carlisle railway carolling day in December, at the October Apple Day at Acorn Bank, near Penrith, and in the Strickland Arms near Kendal in mid December. We welcome all visiting community choirs and can arrange accommodation and singing workshops and short walks for you should you wish to visit this beautiful area. There are links below to photos on Facebook, and learning videos where I sing the individual harmonies for the songs we sing on Youtube. 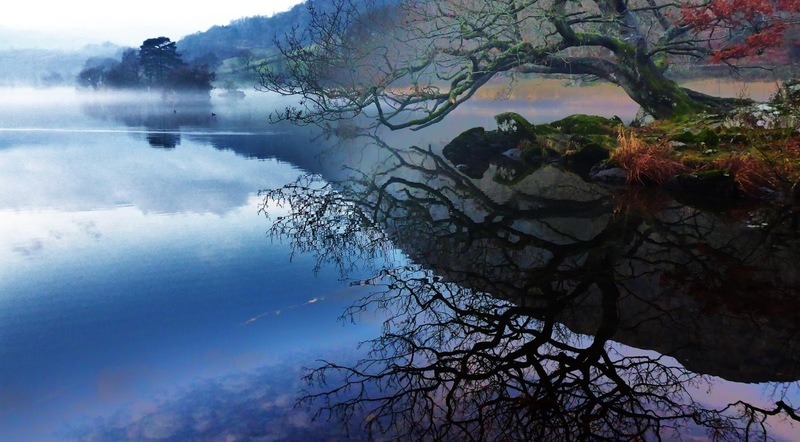 Welcome - we hope your visit to the Lakeland Voice website is useful and inspiring. 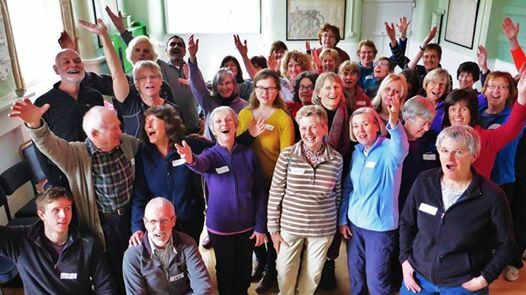 Here you can find out about natural voice and harmony singing workshops based in South Lakeland in the North of England for groups and individuals. 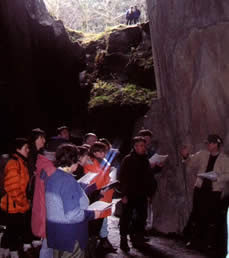 The work is led by David Burbidge (pictured here leading an outdoor workshop in the Little Langdale valley) with guest teachers from around the world. 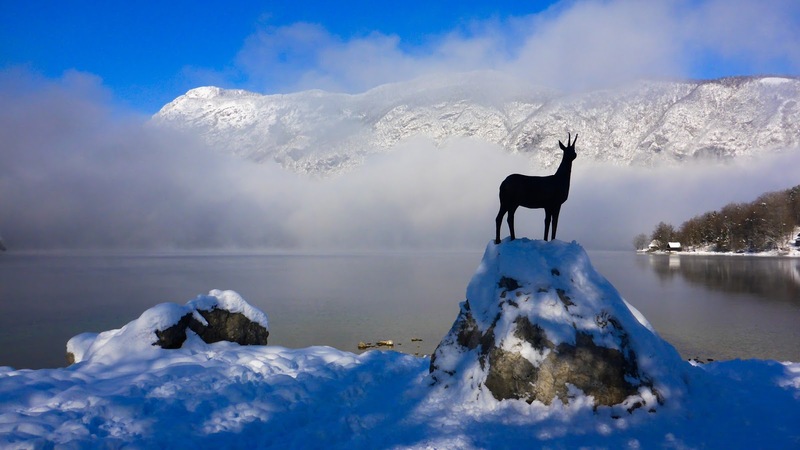 What is the Natural Voice? a) Singing is our birthright and should be accessible to everyone, whatever their musical training or experience. b) The voice has its roots in the body and through releasing the breath and unnecessary tensions a more pleasurable experience of singing can be had as well as a richer and more authentic sound. d) And that musical terminology should be expressed in user friendly terms or explained sufficiently so as not to confuse or alienate those who sing naturally. 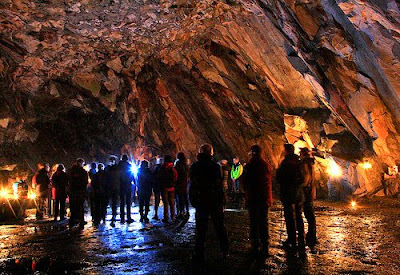 Many of these workshops use the beautiful landscape in our area especially during our short, singing walks when we take our songs out into the landscape, singing by waterfalls and rivers, in caves, woods and fellside chapels and round the open fires of country inns. Some involve longer tours and will require more fitness such as 'Lakeland Songline' long Whitsun weekend with camping in the mountains of the central Lake District and 'The Singing Cyclists' tours. Our workshops are mostly based in Sedbergh and Dent, small communities in an area overlapped by South Lakeland District and the Yorkshire Dales National Park. The area includes the beautiful, rounded hills of the Howgill Fells with the spectacular Cautley Spout waterfall, and the serenity of the wooded valleys with their ancient churches and cobbled villages. We use comfortable village halls for our workshops, as well as my old stone cottage where the river Clough flows outside the window providing its unique accompaniment to our singing. 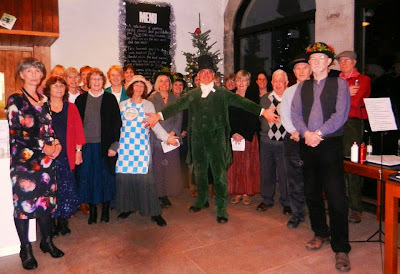 Where possible we sing round open fires with informal singing sessions in remote country inns, and singing fireside suppers under the old oak beams of Dent's Stone Close cafe. 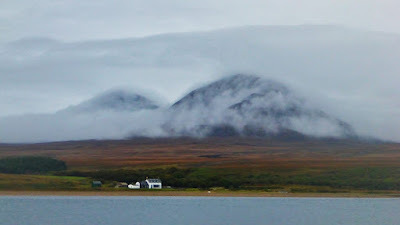 For our residential weekends and week-long retreats we hire old country cottages, and self catering hostels and country mansions in spectacular settings. We are often able to provide single, double and twin rooms. 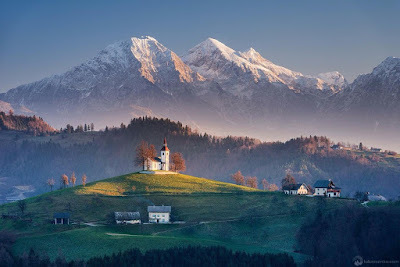 These venues range from Dentdale, Sedbergh and the Lake District to as far away as the Scottish island of Jura and our twin town Zrece in the Slovenian mountains. Some of our workshops - on weekends or summer evenings - include singing walks using local caves, waterfalls and magnificent mountain scenery for a different acoustic and as a setting for our singing. These have included Cathedral Cavern in Little Langdale, Rydal Caves near Ambleside, Yordas cave near Ingleton, Tarn Hows, Martindale, Raisgill stone circle and 'Long Meg and her Daughters', through the Elysian Shades beech woods and the rapids of the Dee near Sedbergh, and singing cruises across the lakes at Coniston and Ulswater. 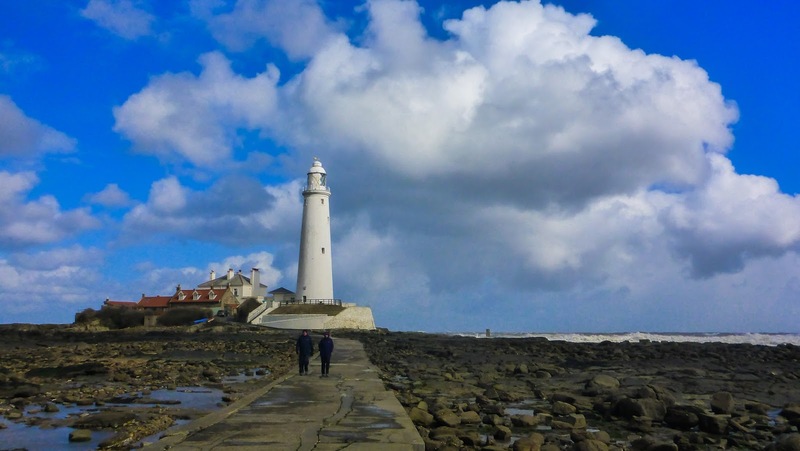 Our workshops in other parts of the UK include country houses overlooking the sea on a Scottish island and the old smugglers' village Robin Hoods Bay. Songs are mostly drawn from cultures where people sing as naturally as they talk - folk songs from the UK, Africa, Georgia and the Balkans. Songs in English are drawn from the American Shape note and British folk traditions as well as some jazz and sacred music. As we teach mostly by ear our songs tend to come from cultures where music is passed on from one generation to the next by ear, as opposed to the complexities of written music found in Western classical music. We include rounds and simple harmony arrangements as well as two, three and four part harmonies. How absolutely fantastic......and so so so natural. 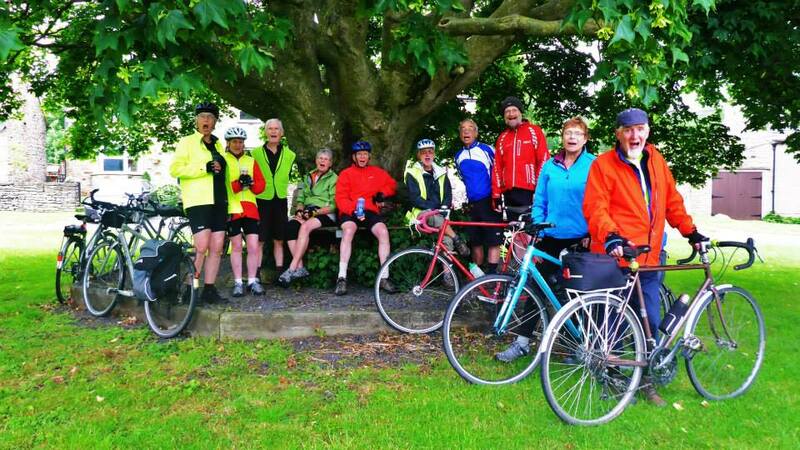 I often sing as I am walking or [if I have breath] cycling - there's just one snag :-) It could, I reckon, become addictive!! Therefore could contribute massively to happiness levels....Whoops and where would that take us eh? More hills? I love this song. What song is it? Is it English folk song? It is an English folk carol called Old Foster - after the man who wrote the arrangement John Foster from Sheffield. 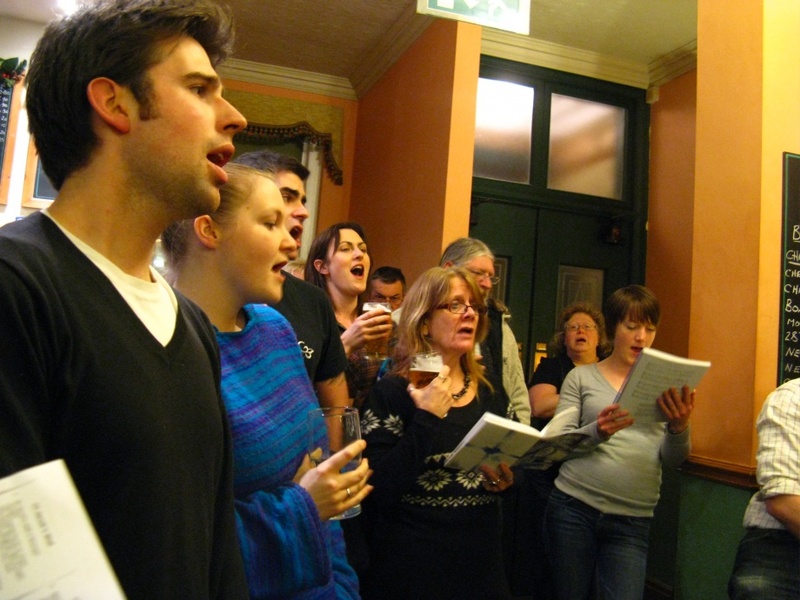 The carol is sometimes called one of the Sheffield pub carols because it is sung in the pubs in villages near Sheffield like the Royal at Dungworth, the Blue Ball at Worral, the Travellers at Oughtibridge and others. Our groups here in Cumbria sing it too - often on walks through the winter landscape. 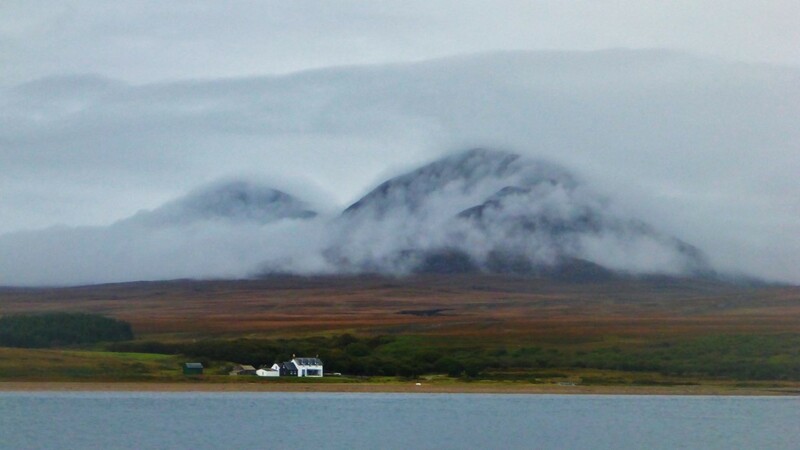 The landscape is breath-taking; lush green patches amidst the majestic slopes where clouds gently roll by. I read about that place in hotels in luton where they offer additional country side info.